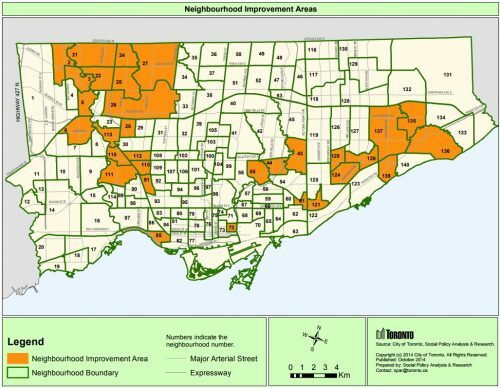 In March 2014, the City of Toronto identified 31 Toronto neighbourhoods to be designated as Neighbourhood Improvement Areas (NIAs) under the Toronto Strong Neighbourhoods Strategy 2020 (TSNS2020). To support the work of TSNS2020 in the 31 NIAs, the City produced Neighbourhood Improvement Area profiles for each of the 31 designated neighbourhoods. The demographics of the Neighbourhood Improvement Areas (NIAs) are presented below in statistical profiles and maps. NIAs are supported by Neighbourhood Action Teams; for more information please visit the Toronto Strong Neighbourhoods 2020 page. NOTE: More up to date neighbourhood profiles are now available using data from the 2016 Census of Population conducted by Statistics Canada. 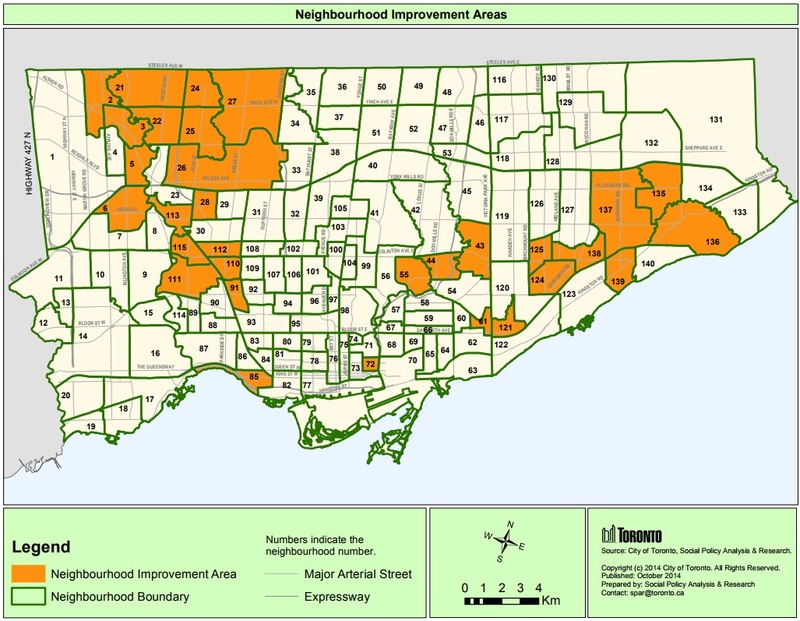 These profiles are available for all 140 Toronto neighbourhoods, including the 31 NIAs. You can find the neighbourhood profiles at Neighbhourhood Profiles page.